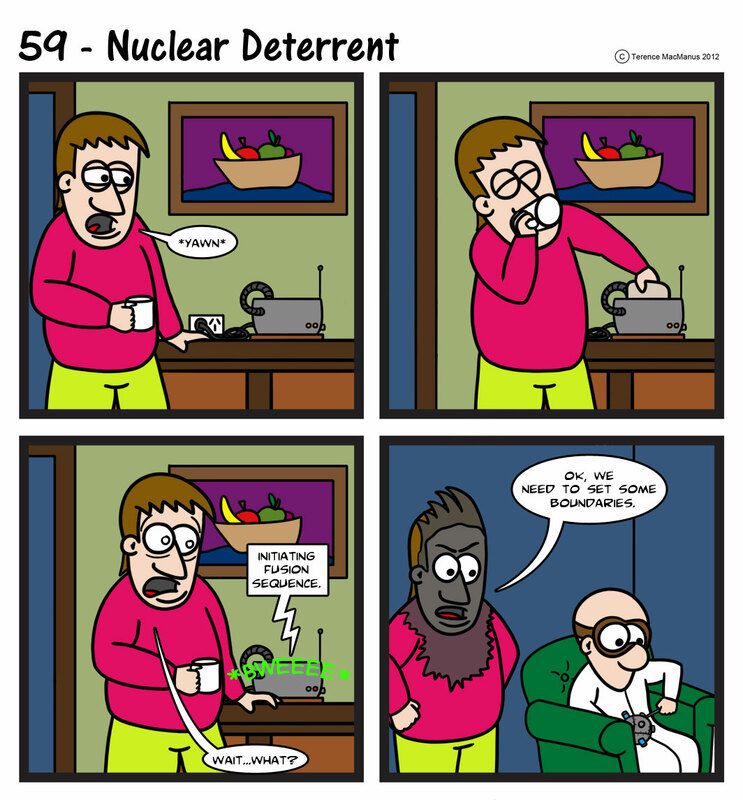 For those of you wondering what happened to the toaster, I suggest checking out this strip. Meanwhile, in the real world, it’s MOvember time! For anyone unfamiliar with the concept, Movember takes the month of November to raise money for a range of men’s health initiatives, which in Australia includes Beyond Blue and the Prostate Cancer Foundation. These are fantastic causes, and well worth supporting! So in honour of that, I have removed the familiar trappings of my goatee and am currently growing a moustachio worthy of glory (and donations)!